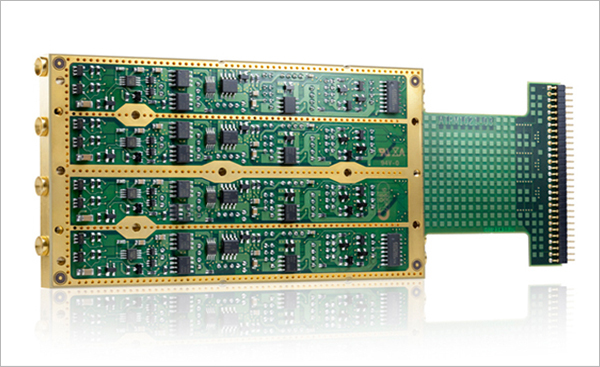 SANMINA IS THE LEADER IN THE TURNKEY DESIGN AND PRODUCTION OF OPTICAL AND RF PRODUCTS. Sanmina builds TOSA’s, pump lasers, tunable lasers and other high performance lasers to our customer’s specifications. Sanmina offers expertise and technology for advanced optical/RF, opto-electronic components, modules and subsystems along with global manufacturing. 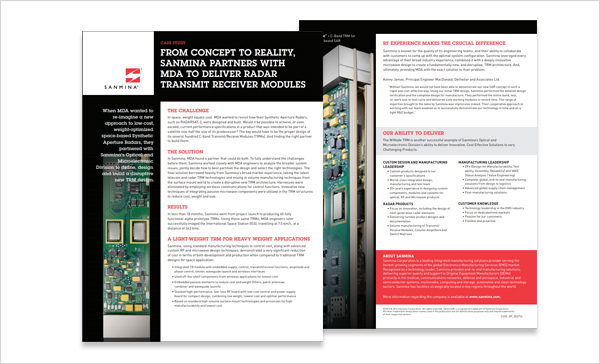 Sanmina, using our proprietary design tools and simulation models, designs then builds RF driver modules that are optimized for our customer’s applications. Sanmina has over 20 years expierence in high-speed custom RF packaging design and manufacturing, along with unique micro-electronics assembly and test capabilities. Sanmina provides complete design services, technology development, custom packaging technology and global manufacturing for RF, optical & microelectronics. 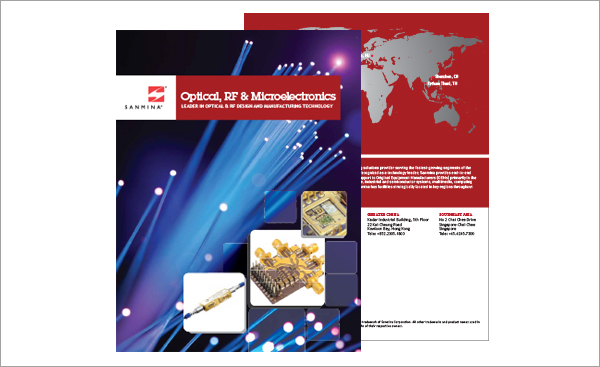 Sanmina designs and manufactures the most innovative and complex optical, RF and microwave products in the world. 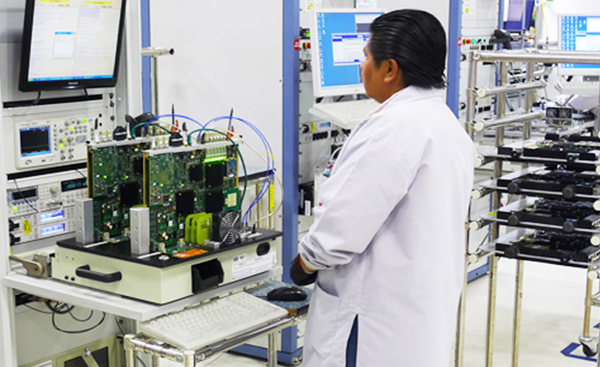 With substantial expertise in the turnkey design and development of high speed and automated RF and optical test systems, Sanmina provides leading OEM’s with complete test solutions for products operating at up to 400 Gbs. At Sanmina, we’ve built a rich history of developing advanced RF and optical solutions by partnering with some of the world’s most innovative companies. Leveraging more than three decades of expertise in Optical, RF and Microelectronics, we provide product design and development, test engineering, process engineering, and New Product Introduction (NPI) support for component, module and system-level applications. We also manage all aspects of product manufacturing, along with implementing product-sustaining and cost-reduction strategies. 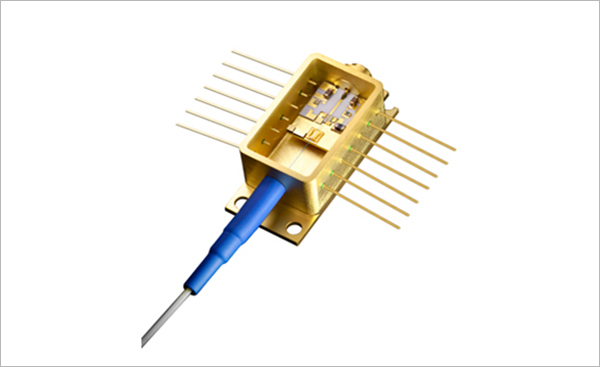 We provide a complete range of design and manufacturing for RF Microwave and Microelectronic products — including those operating in the L, K, X and Space C bands. From 400 Gb/s optical modulators to advanced optical design for medical products, Sanmina offers a full array of optical, laser and sensor product design and manufacturing services. 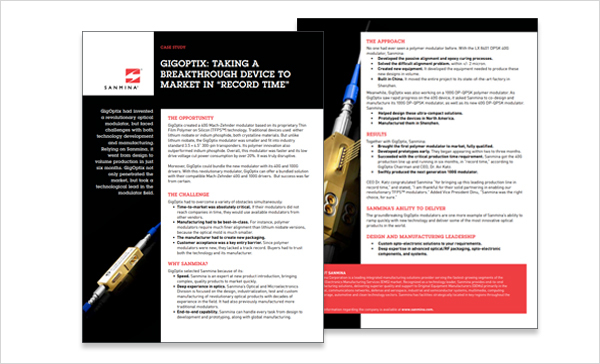 We’re specialists in designing high performance, manufacturable, cost-optimized products. We can also complement our customer’s design team with test engineering and DFx/DFM services.